Inflation is a stealth tax on our assets and most people have no idea how big the impact is. Inflation impacts everything from social security taxes to capital gains taxes. 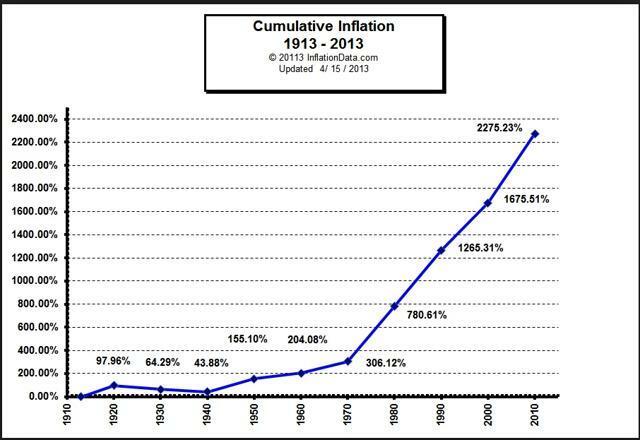 If inflation reverts back to levels we saw a decade ago, many people will be in trouble. There are so many moving parts when it comes to a retirement plan and lots of assumptions that go into it. Most people who really take an interest in their retirement situation like to run a variety of scenarios. These scenarios normally include things like reducing annual return assumptions, changing the date of retirement, increasing or decreasing expenses in retirement, and changing life expectancy. 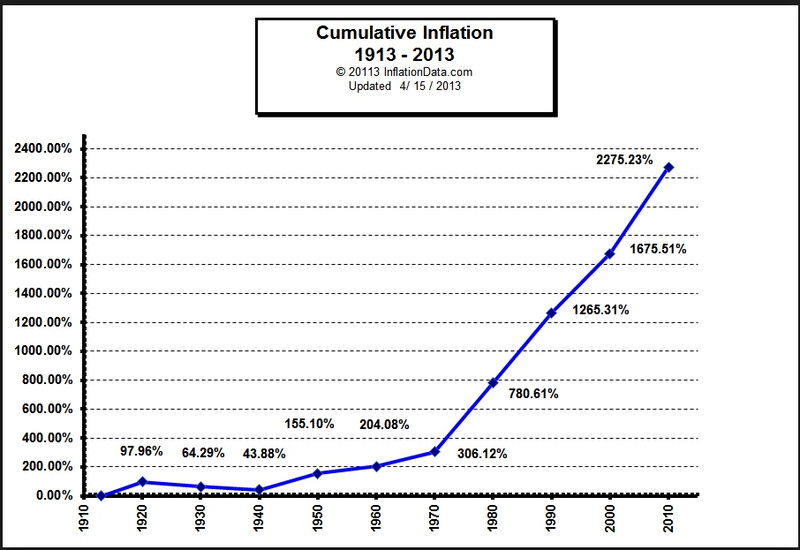 One variable that probably does not get enough attention is the inflation rate. It's easy to understand that as inflation rises, so do people's expenses. But the truth of the matter is, it's more complicated than that. Inflation is a stealth tax due to our complex tax system. Federal income tax brackets are indexed to inflation, but many other taxable items are not. Did you know that you are double-taxed on Social Security payments? You pay income taxes on that portion of your salary that goes to the Social Security portion of the FICA tax. For most people, the amount of their salary that is taken out for Social Security is 6.2%. Again, that money is taken out of your paycheck and it is also included as your taxable income for the year. Now for the really painful part: When you receive Social Security after you retire, you will pay income taxes on it again! Read that one more time. If you don't believe me, just read this article about it. Now that your blood is boiling about being double-taxed on Social Security, there is more to it than that. The tax brackets for Social Security are not indexed to inflation. So soon enough, we will all be paying the maximum tax on our Social Security benefits. This is part of the inflation stealth tax. Let's say you own a real estate investment property that you rent out. You pay $200,000 for it in the year 2017. In 20 years, you decide to sell it. Over this time, your housing market has just kept up with inflation of 2.5% per year. Over 20 years, this is 64% compounded inflation. Do you think you get to write that off as an expense? Nope. You will pay the capital gains rate of 15% (for most people) on that phantom 64% "gain". This amounts to $19,200 in taxes for a gain that did not really occur because it's all due to inflation. The real increase in that property's value was $0, yet you still had to fork over $19,200 to Uncle Sam. And if you guessed that this same problem occurs with stocks, you're right. Now that we're all good and angry/worried/ready to protest, let's take a look at how increasing rates of inflation can impact a person's retirement situation. It's vitally important to understand how your retirement portfolio would be impacted by the inflation stealth tax. If inflation is 2% higher than expected each year, this couple's nest egg declines by about $50,000. This isn't great, but not a terrible situation for them either. But this isn't the end of the analysis. The drop in their nest egg is now $161,000. This is more than triple the decline we saw in the first run where 75% of their money was in IRAs. This makes sense due to the tax-deferred nature of IRAs. There are a few lessons we learned while running these enlightening scenarios. First, you should max out your contributions to your 401(k) plan and/or IRA. Second, do not take today's relatively low inflation for granted. In 2005 and 2008, we saw inflation rates of over 4%. Third, your investments must keep up with inflation. I like to hedge against inflation with dividend-growth stocks which have easily kept their dividend growth in line with inflation and more. Some of my favorite companies in this regard are Johnson & Johnson (NYSE:JNJ), Exxon (NYSE:XOM), and Procter & Gamble (NYSE:PG). The worst thing you could own if inflation takes off is long-term bonds. Imagine locking in a 30-year treasury yield today of 3% and inflation moves to 4%. You would be locking in a -1% rate of return for 30 years, and to add insult to injury, you would still pay taxes on the income in taxable accounts. Disclosure: I am/we are long JNJ, XOM, PG. I wrote this article myself, and it expresses my own opinions. I am not receiving compensation for it (other than from Seeking Alpha). I have no business relationship with any company whose stock is mentioned in this article.